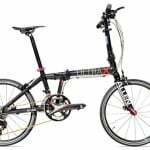 Dahon has produced a truly legendary bike in the Espresso. Well built, quick on and off the road - with a stunning design too - what else could you possibly require? 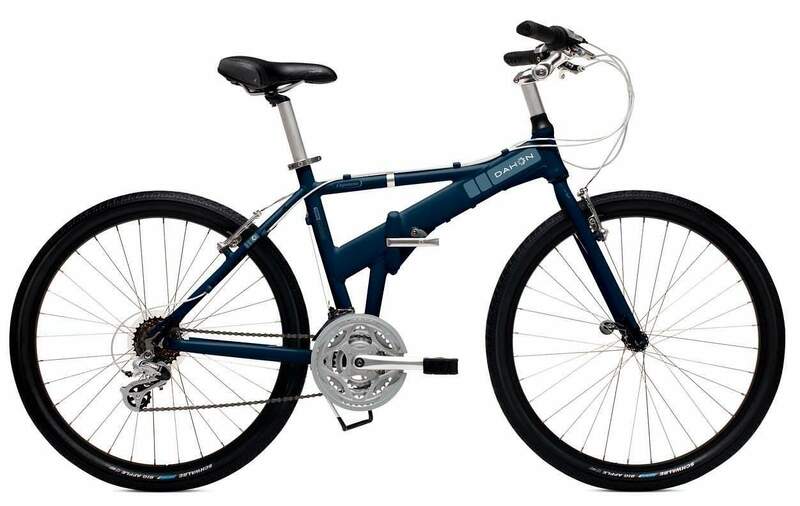 This is a 26-inch wheel folding mountain bike that only weighs 14kg (about 30 pounds). 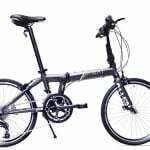 There is also a version of the Dahon Espresso available in Europe, with off road tires and front suspension, that weighs 15kg. 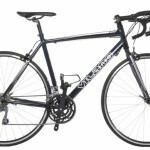 When you are test riding it, be aware that this bike is available in two sizes; small and large, for riders over or under 5’10”. 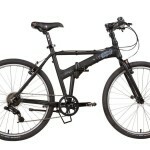 The Dahon Espresso is an exciting folding mountain bike that excels in almost every department. If you want a bicycle that is designed to last and fare well off-road then this could be the perfect bike for you! 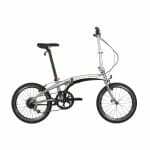 Dahon makes almost every kind of folding bike that you can imagine, right across the price spectrum and all of them are well designed and engineered, using quality hardware, and parts appropriate for the intended use. 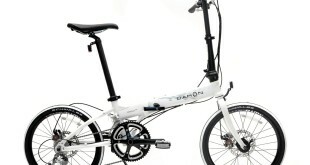 For many people, Dahon defines the category. 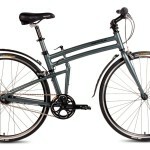 This model is not their least expensive but you get a full size bike, capable of tackling almost any kind of outing. 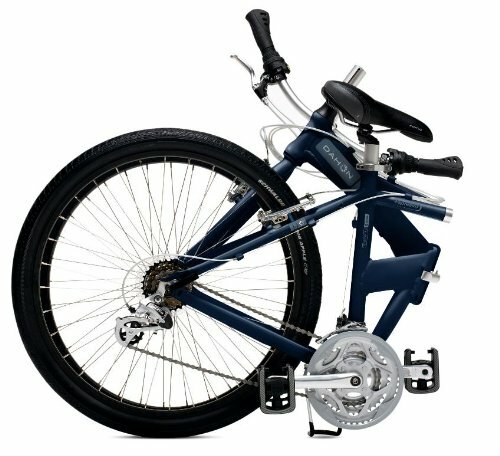 The Dahon Expresso has a high quality 21-gear Shimano drive train, which should get you over, or across almost anything, and keep working in the meantime. The frame folds in half with the flick of a switch folding to a handy 13 x 37 x 31 inches. The Espresso also comes with an all important kick stand. As with any folding bike, there is a little bit of a trade off. 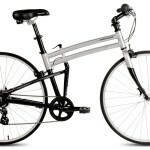 A folding bike is not going to be quite as robust as a solid frame equivalent, due to the moving parts in the frame. Whenever you are thrown off or hit something, it is going to take its toll. Having said that the bike is well built and, as always, attentive maintenance is going to be a big part of the answer to wear and tear on the moving parts in the frame. Actually, attentive maintenance is always a good idea. If you are not sure how to do it yourself, taking a bike in for regular service is important, unless the bike is only for very occasional use. And, of course always check the brakes are working and in good shape before you head for the hills. Getting up that hill might be the easy part, if your brakes give out on you coming down the other side. 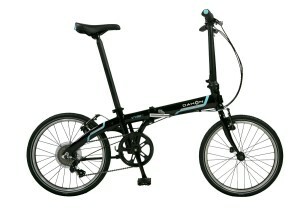 The Dahon Espresso will fit into almost anyone’s trunk/boot and, if not there, then on the back seat. This means that most people will be able to squeeze two into their car some how; along with whatever else they need to take along. I imagine that this is will be the attraction to those of you in the market for such a bike. The Espresso could also be an option for the occasional commute, but might be a little too big for the subway, although in a pinch, I guess it would be do-able. So if you are an ‘Out-doorser’ and prefer not to put your bike on a car rack, this is going to be an attractive option.